What if they just stopped? What if in a grand, scruffy stab at corporate disobedience, teenagers en masse simply stopped spending their money on the cynical crap that's relentlessly mainlined to them: the addictive and deadly cigarettes, the hateful music, the crude and desensitizing videos and movies? What if they stopped buying that $#!%—just to cause trouble? 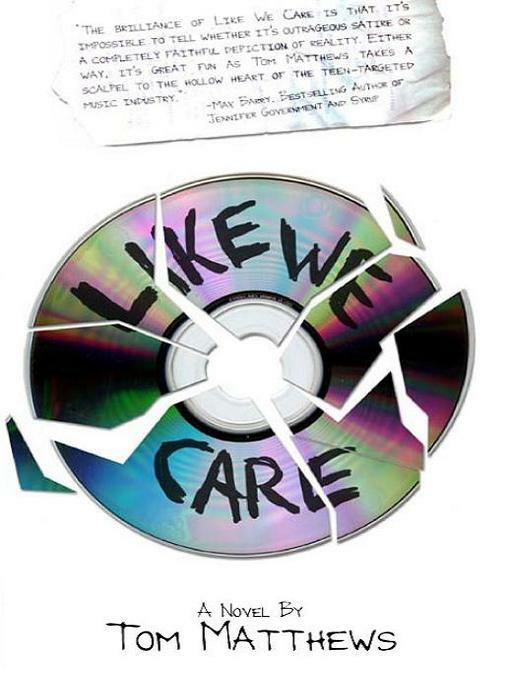 That's the radical notion behind Like We Care, a biting, clever, and hilarious satire in which two endearingly subversive high school seniors set out to monkey wrench the recording industry, the cigarette industry, the junk food industry – indeed, much of the American money machine. Marrying the internet to corporate America's own schemes and weapons, they slowly, reluctantly launch a grassroots campaign, with racial, political, and cultural implications, that harnesses the awesome, untapped power of teenagers flush with cash and inflamed by adult hypocrisy.